When to Change your Workout Plan? 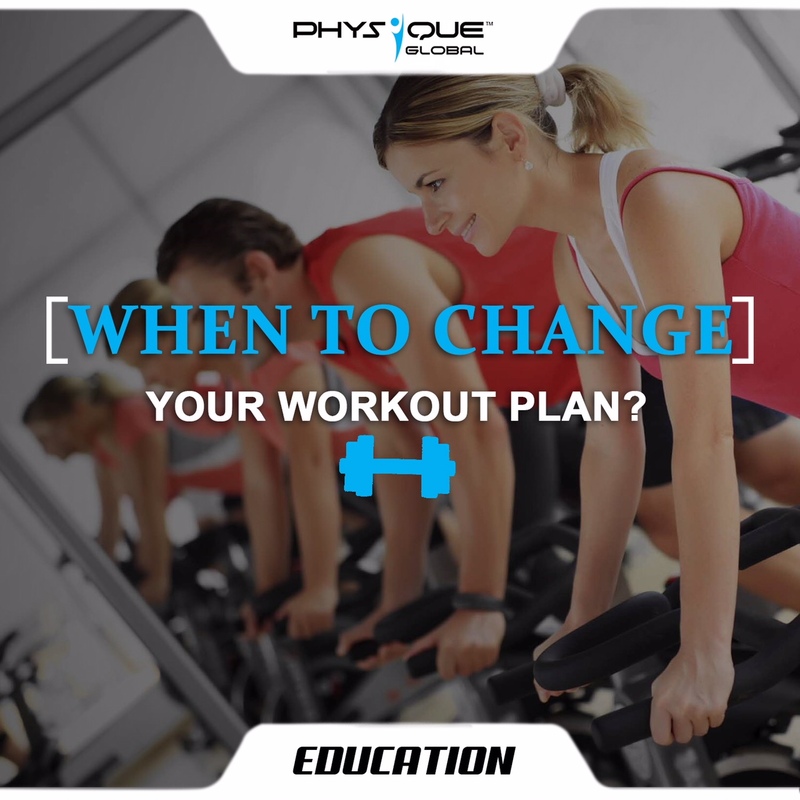 Home · Physique Global Article · When to Change your Workout Plan? It takes your body 21 days to develop a habit. Just like a habit, your body starts to adapt and gets used to the same routine, done with the same number of sets, same rep ranges, same rest times, same exercises and same intensity. Hence it becomes extremely important to monitor your progress continuously and make changes to your workout routines so that you continue to move forward towards your goals. When your workout routine is no longer doing what it’s supposed to do and producing the results it’s supposed to produce. If your goals change i.e. if your primary goal was building up strength and endurance, and now your primary goal has switched to building muscle or losing fat or anything else, changes should be made to your program to reflect the changes in your goals. If you become bored with what you’re doing that it’s beginning to hurt your motivation to train, then it’s time to change something to bring your interest/desire/motivation back. To sum things up, any workout program should be continued for atleast 10-12 weeks before thinking about changing it. But if your workout routine is providing you with results then there is absolutely no need to change it, on the contrary if you’ve hit the plateau, it could be an indication to make a change. It’s as simple as that.